Someone said it so well. . .
Have you ever wanted to quote someone – maybe on posters you’re creating on Zazzle.com – and wondered how to get copyright permissions? Or if, indeed, you needed permission at all? One resource is the US government: US Copyright Office. That lets you search by works created since 1978. Then what? But how about simply conducting a copyright permissions search by typing in an artist’s or writer’s name? Try WATCH! The University of Reading (Reading, England) and the Harry Ransom Center (Austin, TX) together offer a searchable database of copyright contacts for writers, artists and prominent figures in other creative fields. These are the companies who can authorize (license) copyright permissions. Read the information about the database on their About page. Note the head’s up for totally relying on WATCH as the be-all, end-all of copyright / permission information, but this is a great start. To try it out, I enter Winston Churchill’s name. He was a very quotable person in the 20th century! If a search turned up a licensing company, I assume I have to seek permission to use work from that artist or writer. If it turned up blank, I’d think I might be ok, but I learned better with the Oscar Wilde example! The results for Oscar Wilde are more ambiguous on WATCH because they have notes about differing UK and USA rules AND an address in France! I don’t understand this one at all, I have to say. Since I had products taken down, I did a separate Google search on “Oscar Wilde copyright” and was taken to a website of a licensing company, CMG. The Official Web Site of Oscar Wilde has more info (FAQ) and links back to CMG. You may or may not get permission. You may or may not be able to afford the conditions under which you could get permission. The cost of not finding out may be even higher, however! For those of us creating on Zazzle.com: if you have permission to use someone else’s work, you may want to post a notice on your site AND contact Zazzle to show proof of that permission. Zazzle has been known to remove alledgedly offending products without warning and, often, without much recourse for the artist. An ounce of prevention saves a ton of problems later! On the Zazzle help page,the acceptable content guidelines note: No text or images that infringe on any intellectual property rights including, but not limited to copyrights, trademarks and rights of privacy/publicity. More info about the Zazzle copyright policy may be found on this help page. There are always people looking out for other artists who will report designs they think infringe on someone else’s rights. (That’s not the ideal protocol, but it happens.) Additionally, licensing companies may do automated searches of the web to look for possible violators. Zazzle undoubtedly has a list of artists, writers, celebrities, companies, etc whose intellectual property may not be added without permission. If you have ever had something taken down, you know how troubling that may be. This is one way to help yourself stay out of trouble! Note: I am not a lawyer, nor offering legal advice. The information here may be outdated by the time you read this! And IP law is evolving all the time. WATCH is one tool available on line to help you research intellectual property concerns. It’s important to understand that there are different kinds of rights out there and intellectual property law is a complicated subject. Another online tool you should become familiar with besides the Copyright Office noted above is the US Trademark Office search. What did I think when I opened the package with my new Zazzle notebook? Wow, the cover is beautiful! And super glossy! It is very true to the product image. I had ordered the Wild Grapes in Winter Art Notebook from my Paper Lake store on Zazzle.com. Sometimes a blue color leaning towards purple tips over to purple and looks weird, but this was just right. The Wild Grapes image is a watercolor style design created from a photograph of a sparse cluster of wild grapes against a blue-sky winter day. I had not seen it printed on glossy paper before and I do like the printing! The translucency of the personalized text bar also came out very well. To my surprise, the back cover is also glossy, although plain white. I rather expected it to be a cardboard, but it’s the same heavy photo paper as the front cover. The size is similar to the composition notebooks that I used to like – not so wide as those were, but a convenient size and not that many pages. It’s a comfortable size to stash in a large purse or tote or in a nightstand drawer. It’s too flimsy to write on without placing it on a hard surface. The pages have black lines made up of tiny dots with a darker line of dots at the top – a nice effect. Both sides are printed and there’s a comfortable margin of white around each page. These pages are not perforated, but then, I didn’t expect them to be. The inside pages have a decent weight and a nice hand (feel) to them. The spiral binding is a double black wire and the pages do open flat. It would be nice if there were an option to choose a different kind of page – like plain paper for sketching or possibly graph paper, but the ruled pages do work for most people. I wrote on the pages with two different kinds of pens to see how much bleed through there was to the back of the sheets. Not bad, although a very inky pen would have bleed-through. It was acceptable with both a fine art pen and a Uni-ball pen to write on both sides. Who would like custom notebooks? You can get cute notebooks at discount stores for a lot less money, right? Why would you want to look at buying notebooks from an online store? It’s hard to imagine how many different options there are when you order products from a print-on-demand or custom printing store like Zazzle or CafePress or the like. You simply cannot get this kind of choice any other way unless you pay a premium price. For a change, with this review, I gathered together some ideas of who might shop for custom notebooks – or who might like or use them. Here’s a not-very-long list. I’m sure you could come up with a lot more! Their light weight would make these notebooks nice gifts for travelers. You can customize many of them with their name or a phrase. You can choose one that has the flavor of their destination city. Or you can create your own! And create another one with a great cover photo when you return! A notebook that fits in a diaper bag as well it fits on the nightstand might be just the right gift for new mom or dad who want to write notes to their baby or about his or her smiles and accomplishments. This is obvious! Creative writers and custom notebooks go together like macaroni and cheese. Many times the act of putting pen to paper is a different use of the creative mind and writers like paper! Photographers can take notes in custom notebooks during a shoot, give custom notebooks to customers, take notes during a photography class and more. 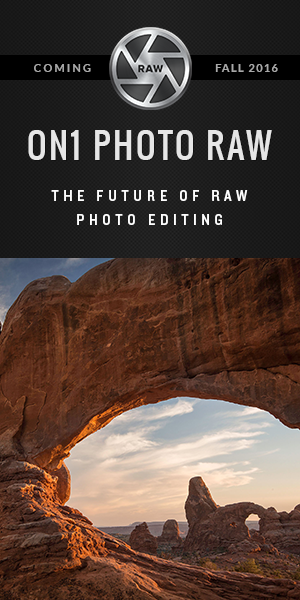 Show off photographs and collect knowledge! If you like to collect or invent recipes on the go, you might like to carry a cookbook’s notebook with you. You can jot notes for a dinner party, request recipes from a fellow cook or keep track of special diet or cooking details. Those of you who plan your Christmas shopping in detail and get started in the Spring might find it helpful to carry a little notebook for keeping track of sizes and wishes and gift purchases. Brides can use custom notebooks for planning the wedding, the honeymoon or just writing about their special day. Custom notebooks also make excellent wedding guest books. If you have a house you rent out, a cottage with lots of visitors or a shop with walk-in customers, chances are you could use a guest book to collect notes, address and memories. Whether your hobby is a handcraft, bird watching, genealogy, rock collecting, gardening or navel gazing, you probably like to take notes occasionally. What works better than a custom notebook just for that? Am I happy with the notebook? Mostly. I just would have preferred a much sturdier back cover. Actually, I would have liked a back cover that wasn’t glossy either. With prices starting at $12.95, these are a bit pricey to buy a whole bunch for all the kids you know in school. It’s not bad for a gift or a self-indulgence. Not to keep harping on the back cover, but a sturdy back cover would have affected my opinion of the price. If notebooks have gone on sale at Zazzle at all, it was a one-time shot. Notebooks do not carry a volume discount either. Of course, there’s no set-up charge! One thing both Blurb and Cafe Press do that is seemingly more helpful is give the paper weight on two different scales: Blurb is 60# or 90 GSM. CafePress is 60# bookweight or 24# bond. Not being a printer, I have little idea how either of those relate to Zazzle’s 60# paper. They might all be the same because 24# bond ledger paper is equivalent to 60# offset text paper which is equivalent to 90 GMS (grams/square meter). It arrived pretty quickly and was well packaged in a box. If you’d like to shop for a custom notebook, start here. If you’d like to try creating your own, go here. Zazzle announced that the Blackberry Curve case has been discontinued and the Samsung Galaxy case will be removed next week. This was a decision by Case-Mate, the manufacturer of the cases. Another Blackberry case does remain and some new cases for Android will be added soon. Did you ever think you could give the same gift to your seven year old daughter, her teacher, yourself (or your wife or girlfriend), your mother, your teenage niece, the choir director at church and the neighbor next door who babysits for you? And it wouldn’t be chocolate? And no one would say it doesn’t fit them? Bagettes Custom Photo Bags have got to be the easiest product ever for photographers and snapshot lovers! And they are so darned cute! You will want to have – or gift – several of them. Bagettes was begun by mompreneur Felice Azorsky in 2003 and has taken off since. Without fanfare, a few days ago Zazzle.com added an nine bag line-up of Bagettes for designers and customers to create beautiful, fun, interesting, or gothic designs on. Or just to add that photograph of a bunch of friends together, an engagement photo, a new baby or all the grandkids. BTW, you may notice that the names of the bags get a little confused (and confusing!) sometimes. Just check the descriptions. I think there’s some Google love-seeking going on as well as the organizational pains of a new product line. Want a special gift for Mom or Grandma? Create a bag with photos of her baby, kids or grandkids. And the family pet! Want custom gifts for your bridesmaids? Create cosmetic bags that coordinate with your wedding colors, or flowers, or have photographs from a girl get-together! Want a special gift for a recent graduate? A photo of her and her friends on graduation day on one side and kindergarten on the other would be fun! There are so many possibilities to create cool bags with photos of family and friends, pets, flowers, food (think cupcakes! ), schools, houses, vacations, birthdays, weddings, parties, hobbies, sports and more! And then add all the myriad artwork that would be enjoyed! I’ve started designing on these in my Beachwalker and Woodswalker stores already. Some people have wondered whether it makes sense to design on just one bag or on all eight of them. Because of the format, customers can easily switch from wristlets to cosmetic bags or coin purses. However, Zazzle’s search design does go by specific products. If someone is looking for a Key Coin Clutch specifically, a Mini-Clutch that COULD be turned into a Key Coin Clutch will not show up in the search. Personally, I set up some templates to quickly design a set of eight bags at once. If you are a customer looking to design some custom gifts for friends and family, these little bags will be pretty easy! Click on the links to create Custom Accessories Bags, Custom Cosmetic Bags, Custom Coin Purses, and Custom Wristlets. Or, want to shop some of the new designs? These are pretty new to have all the typical pages, but you’ll find already-designed Bagettes wristlets and coin purses here. I think some designers may have gotten a head start! 🙂 In a few days, I should have some summer beach designs in the Beachwalker store and the Woodswalker store. If you’re looking for a design you like and don’t see it, just use the Send Message option in the sidebar of either store. Or leave a comment on this post. I wondered when – if – Zazzlers will have access to the entire lineup of Bagettes. My crystal ball is cloudy! How’s yours? I’m planning a coin purse for my mom with photos of her two brand new great-grandbabies. It’s a bit late for Mother’s Day, but never too late to give mom a gift! What will you design? For whom? Have you tried posting a linked image in the Zazzle forums in the past few days? You probably noticed that the three options changed to two. There’s no more link to images! Is this an image protection move? I have no idea. Thanks to friends on the ZUG, a friendly and helpful Zazzle-related forum, it was easy to figure out how to link images in the forums with this change. So I made a little video. Sorry, I think I was losing my voice here, but you’ll see that it’s still easy, just different. So, if you want to learn (or re-learn) how to add images to posts on the Zazzle forums, take 5 minutes and watch! Have you tried a Zazzle Storebuilder WordPress plugin on your WP site? No? Or Not lately–should I update? Zazzle Store Builder offers you a convenient, flexible way to access Zazzle products through RSS. You can display your Zazzle products on your existing web site or create your own Zazzle Store site using our example files. You are free to present your Zazzle products in any context you wish: it’s your web page. I’ve been using this plugin for a couple of years. It’s pretty easy to use and your referral code is automatically added to every product once you add it in one place. Paul generously offers ZStore Helper free of charge. There are other Zazzle plugins I’ve checked out: one of them does a revenue share of every other referral, which is quite high IMO. Another one hasn’t been updated since 2008. That’s too old! To use the ZStore Helper, you must download the ZSB from Zazzle and the plugin from ReturnTrue. Then you upload (or FTP) them to the WP content folder and move a few files around to make it work. You have to go to the site for the shortcodes also. Not hard–and Paul has EXCELLENT instructions–but a little bit painstaking for some. I also revised the code when I installed it so that all links would open in new windows. Well, you can simplify that greatly with a premium version of the plugin created by Bill at Skin Ur Site! Due to a major update to the Zazzle feed system I have rushed a new update that will permanently maintain backward compatibility for all your shortcodes, even if Zazzle decide to turn off the redirect that they currently have in place. It will also help reduce the strain on their servers caused by that redirecting. This update applies to both the free & premium versions. It is advised you update as soon as possible. Documentation within the plugin & this post has also been updated to match Zazzle’s new string system in regards to products. What’s different about the premium version? Here’s how the basic plugin looks on the backend and below is the premium plugin. Just a little bit easier to use! Plus, you don’t have to keep going back and forth for the shortcode info. It opens up in a handy window when you click on the highlighted Read the documention. To compare the premium version to the prior version, here’s a sample from my WoodswalkerTalk site using the ZStore Helper plugin. I think I modified the box to turn that color. If I recall, it was originally blue and clashed with the site. Whichever version you choose, you may want to modify two files, which you can do anytime. These are nice, but optional. strings.php to revise the error line to include a direct link to your store in case the Zazzle feeds go down. As they sometimes do when Zazzle is making updates on the backend! Additionally, I simplified the upload of the files after I made my coding changes and sorted all the files into the proper folders. I then zipped them up and loaded them into WordPress directly through Plugins > Add New on the dashboard. If you don’t fight with your FTP the way I fight with mine, you won’t care about that! Click on this icon to purchase your own copy or the Premium ZStore Plugin! Soooooo . . . if you’re going to add the ZStore Helper plugin to several WordPress sites, want to simplify things, or really like the zoom feature, spend the $5 on the premium version. Bill says you can use it on all your own sites. BONUS: he had a few free ones to give away; you might be able to grab one! Oh, wait, BTW. . .
What about ZSB 1.5? Is it incorporated here? Will it be? Ummm, no and it probably won’t be. In answer to my question, Paul wrote, No sadly 1.5 may never be compatible with WordPress due to various reasons but the biggest one is due to the product pages. I have no idea why that is. I just hope now that Zazzle will support both versions when 1.5 is officially released! Do you want a Zazzle store on your blog or website? It’s a pretty easy and effective way to showcase your products OR those of any designers you like. Showcasing your own products is a very good way to sell more of them, of course! And to take advantage of Zazzle’s affiliate program to earn referrals of 15% and additional bonuses up to 17% more. If you want to create your own Zazzle store, you must sign up for Zazzle’s affiliate program and agree to the TOS. To learn more and sign up, click here. I’ll cover this more in another post, BTW. Disclosure: I know Bill from Skin Ur Site via interactions with him on a couple of Zazzle-related forums. He kindly provided me with a complimentary early version of this plugin to review and access to subsequent updates. As of today, Zazzle offers 308 fonts for designers to use. The default font is always Folio Medium: a realist sans-serif font that was designed by Konrad Bauer and Walter Baum 1957. It’s fine, but pretty bland, don’t you think? There are some grunge style and kid-friendly fonts as well as over four dozen script fonts,too. Over three hundred sounds like a lot of fonts, but it’s not really if you are concentrating on one grouping of design. I find there are never enough really bold ones or pretty ones. There was an indication last year that new fonts were forthcoming, but don’t hold your breath. The only change I’ve seen in four years is the subtraction of two fonts! 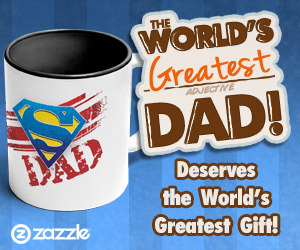 Simply a guess here, but if Zazzle has to BUY fonts, they can be super expensive. And to make available for millions of Zazzlers and customers? Eeek! If you’ve paid for fonts before, you know you often get what you pay for. 🙂 But we all want some scrumptious wedding and holiday fonts. . . Depending what kind of products you design – and for whom – you will probably concentrate on a dozen or two of what’s available. There’s no master list: what you see when you add text to a product is THE list. You can make your own font sheets if you want to see how a whole character set looks. For some of the decorative fonts – or the ones you use regularly – this can be very helpful. Did you know, for instance, that Old Dreadful had so many fun characters? I, myself, have not yet used it, but that was a mistake on my part! Its biggest drawback is readability with such variations between thick and thin lettering. Check out the Maritime font; there’s not much to it, but sometimes you just need a little bird in a corner. Note that the little boxes indicate characters unsupported in the font set. Some of the other sheets don’t show all the characters, but this Folio Medium does. The Q is dirt-ugly, but that is one of the hallmarks of this font along with a square dot on the i; the rest of the letters are decent. Did you realize that the beautiful Liorah prints dark and graceful and hogs up a lot of space? And the downward stroke of the letter J cuts off when it starts a line? It’s too iffy for monograms because many of the capitals will overlap one another. The English Vivance font, on the other hand, does show a full J and has a pretty ampersand. The S is boring, which is too bad for Save the Date cards, but not a show-stopper. It’s useful to know what a font’s numbers look like, too: these are nice on invitations and places were you don’t need strictly vertical lettering. The box below shows Zazzle’s allowable characters: letters, numbers & symbols. Not all symbols are available in all fonts and Zazzle only allows Latin characters. If you want to make your own font sheets, you can copy this layout and paste it into a poster or flyer on Zazzle. (Or look for these on RightBrainLeftTurn on Zazzle). The sample sentences show every letter of the alphabet and whether “J” is apparently cut off – it’s a problematic letter on Zazzle, but people say that it PRINTS ok. Additionally, the sentences show you the leading (spacing) between lines. Some fonts have a lot more leading than you’d imagine! Joyce the Bride & Joseph the Groom. The font sizes we use are specific to the products and design engine on our site. Your product will resemble the real view offered on our site, so please refer to the Real View to be sure your text size is just as you want it. You may find it very handy to download your own copies of some of the fonts so you can customize their appearance more and use them to accent your designs while still coordinating with the customizable text. 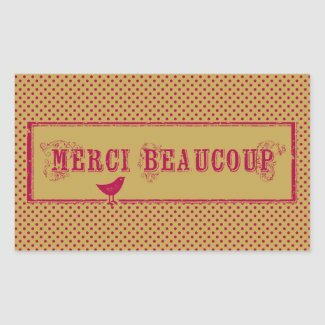 As far as I know, all the Zazzle fonts are available for free somewhere or another – you probably have a few already on your computer. Here’s a good resource of public domain, free fonts where you’ll find many that match Zazzle’s: Eagle Fonts. Here’s one of those scrumptious wedding fonts I mentioned drooling for. 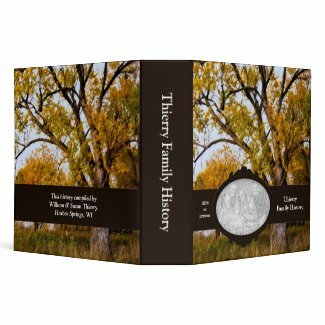 Just one version of it from MyFonts.com is $36 – not so bad, but the family is $86. And that’s for use by one company or household. Here’s a truly mouth-watering site for designers: Letterhead Fonts. How easily could you spend your whole volume bonus there? OK, interminable curiosity made me search for a really expensive font family. How about the beautifully quotidian Trinite´? $4,685 for one Mac user. No, I did not misplace a decimal! Whew. (shakes head) Probably not for Zazzlers! Edited to add: I found a Squidoo lens by vgsuperheroine where she has created a pdf of the Zazzle fonts for you to download: List of Zazzle Fonts.